Join the pack of cute colourful dragons in their adventures in the best rated online casinos. Unforgettable emotions and nice prizes are waiting for you on the way in Dragonz casino slot machine game. This bright 5-reel, 243-ways-to-win video slot is the Microgaming-powered release with exciting features. Check out 4 free spins modes with extra features and benefit from special symbols. The jackpot is 3 000 coins. They can be fierce, frightening and evil as well as cute, friendly and generous. We’re talking about dragons. You’ve definitely played lots of games dedicated to dragons during your gambling in New Zealand. Time has come to add one more fantastic game to your list. Despite all their friendliness, 4 dragons of Dragonz slot are wild creatures, so expect to see lots of Wild action on the reels. 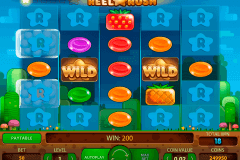 Like in most of Microgaming win real money slots online, there is the Wild icon in this game too. The word WILD image performs traditional substituting functions and also activates the Wild Deal feature. 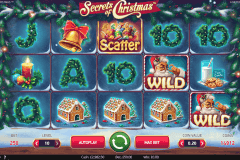 Extra Wild symbols will be scattered across other reels to award you a guaranteed win. Remember that these Extra Wilds can replace all symbols during this online slot feature. Being one of free online slot machine games with free spins, Dragonz slot has the Scatter symbol. When you land at least three Sphere Scatters on the reels, you will activate 1 of 4 free spins modes. These free spins modes are awarded randomly until you trigger the feature 12 times and be able to choose the bonus play on your own. So, players of this video slots online free game can enjoy Flint, Switch, Frost and Gobble Free Spins. Red Dragon Flint offers 10 free spins with Flaming Wilds (Flint can fire up to 10 Wilds on the reels). The Switch (Violet Dragon) Free Spins mode consists of 10 free spins with Stashed Wilds (Switch collects non-winning Wilds and then randomly distributes them on the reels). Remember that Switch Free Spins continue until all Wilds have been rewarded. Blue Dragon Frost will let casino players enjoy 10 free spins with Frosty Wilds (he freezes non-winning Wilds on their positions until they contribute to a win). At last, Gobble (Green Dragon) offers 10 free spins with Winning Wilds (Gobble spits Wilds on the screen at random; they remain stacked until they no longer contribute to a win). Aren’t features of this Microgaming new online slots release cool? The green valley is the background picture of Dragonz slot. Cartoon-like symbols of Flint, Switch, Frost and Gobble, Wilds, Scatters and A to 9 card icons appear on the reels. 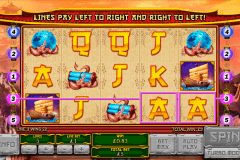 Enjoy this cool Microgaming slot and also add it to your games mobile collection. You’ll not be disappointed. Dragonz 243 ways-to-win online slot is also available in Gaming Club casino online which comes with nice and intuitive mobile design. Simply tap “Play” and have fun with an amazing Welcome bonus.